Did it ever happen that you wanted to listen to the audio of a video on YouTube after minimizing the YouTube app but failed? Maybe it happened if you did not know how to play youtube in background iPhone. Or probably you never thought of thinking that listening to Youtube after minimizing the app is possible. Fortunately, it is possible and effortless. Today we shall know the straightforward trick with which we can continue listening to the audio of a video even after closing the app. In this article, I shall discuss how to play YoutTube in background iPhone. Unfortunately, the YoutTube app does not allow you to listen to audio after minimizing the app or after locking the device. You have to take the help of some Web Browsers which shall help you in this regard. Many of the web browsers are suitable to play Youtube in background iPhone. You need to know the trick which I shall tell you now. Fortunately, you don’t even need to download any additional web browser to play youtube in background iPhone. The default Safari web browser is enough for this. Follow the following procedures to enable youtube to run in the background. 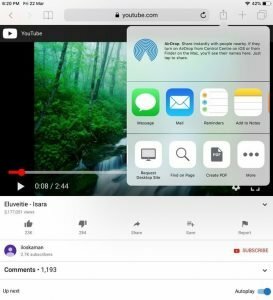 You can even run Youtube after locking the screen of your device. Tap the sign with box and arrow at the top right corner of the screen. A new box will arise. Slide right and find out the icon for Request Desktop site from the new box. Slide down your screen from the top right corner of the screen and get the control. Long tap the music option and enlarge it. Wait till the name of the track of youtube comes here and wait for a few moments. You will see the name of the track you are playing on Youtube is running on the music section. Pause it once and resume. Now minimize the browser keeping the Youtube playing and again slide down screen from the top left and play the music. You can now listen to the audio of Youtube. Lock the Screen. Still, you will listen the same. It was straightforward. Now, what about other browsers? Well, you can use google chrome or Firefox for the same purpose. The trick is the same. Enable the desktop site after opening youtube. Enabling desktop site is available at the option of the right corner of both the browsers. After that, follow the same procedure. 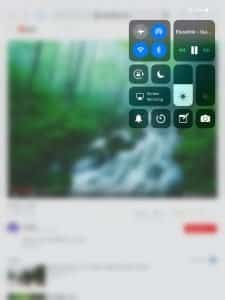 There are more browsers which will be able to play youtube in background iPhone. But I think, these popular browsers are enough to fulfill your demand. I hope the article helped you. If you have any better idea to play youtube in background iPhone, please let us know by commenting. The tutorial which I have shown will work for both iPhone and iPad. You can also play Youtube in background android with the same trick. All you have to do is selecting the desktop site. We have a simple mission, which is to help you improve your digital life. This means we are here to help you to choose the right stuff for your needs. Once you’ve downloaded an app or bought an Android or iOS device, we’ll help you get the best from it with essential apps suggestion. And indeed, Trust is the main things we are focusing on earning from our loyal audiences through the most necessary and trending apps and games recommendation. © 2018 - 2019. All Rights Reserved.